Though he manages to make it to Nashville nearly annually, Seattle indie folk singer-songwriter Noah Gundersen always seems to have something new to showcase, and for his latest outing, Oct. 26 at Cannery Ballroom, the talented singer returns with an incredible new album, White Noise, in tow, reaching bolder, broader, and more expansive musical heights than ever before. A longtime site favorite, Gundersen’s engaging and personal live show and incredibly versatile sound and range has made him a must-see time and time again, and we wholeheartedly encourage you to grab tickets here for his latest Music City date. We’re also giving away a pair of tickets to one lucky fan, so if you’d rather leave it up to fate, you can enter for a chance to win and find out all about the show below! Though still in his 20s, celebrated Seattle singer-songwriter Noah Gundersen has spent the last decade honing his voice an artist, breaking out, after a few formative teenage years in bands, as a formable, eclectic, and resonant musical powerhouse, with the perceptive and expertise of many a performer twice his age. Raised in a musical and religious household in Olympia, Washington, Gundersen left for Seattle at 18, gigging around clubs and making his debut as a folky, indie solo artist with EP Brand New World in 2008. At the same time, Noah was experimenting with a full band setup as well, forming The Courage, featuring his sister Abby and his brother Ivan, who served both as a backing band for his solo outings, and as a full band in their own right, releasing both a live album and their one and only LP, Fearful Bones, in 2010. Though The Courage managed to gain some buzz, it’s always been Gundersen’s solo career that has seemed to land the most powerfully, and, after a few well-received few EPs and several years of playing shows and cultivating an underground following, he released his proper full-length solo debut, Ledges, in 2014, met by immediate acclaim. Building on his layered, folky, haunting, earnest, and thoughtful template, Noah mined even more life experiences and the existential crises of a road-worn 20-something to find an even more ambitious and fully-releazied sound and perceptive for quick 2015 followup Carry the Ghost, which, like Ledges earned critical praise and helped the singer earn placements and blogosphere buzz. A few years removed from Carry the Ghost, and after intermittent touring and even a spontaneous reunion with his high school band Beneath Oceans, Gundersen is back once again with a third solo full-length, White Noise. A product of current events and the sterile and infinite void and vastness of the information age, the latest effort takes on not only a more broad, humanistic, existential commentary, but also bolder, bigger, more anthemic sound, which nods to his rootsier earlier work adopting the energy and aggression of more recent efforts. The product of a decade-long musical and personal journey, White Noise might be Noah Gundersen’s most honest effort yet, even if it’s less specifically personal, and we can’t wait to see it come to life in concert. Winner will be announced Tuesday, Oct. 24 at 3 p.m. CDT, and will receive one pair of tickets. Good luck! Win Tix to Noah Gundersen at Cannery Ballroom! 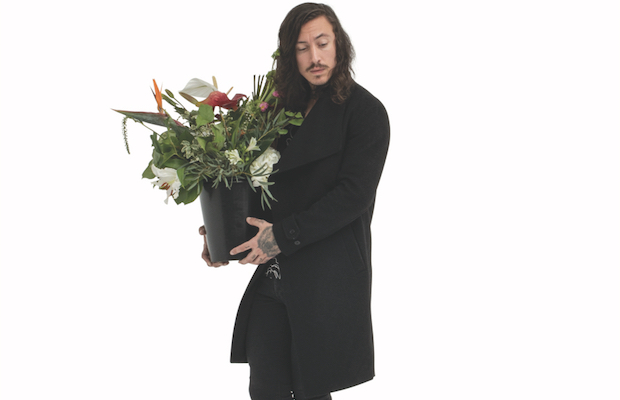 Noah Gundersen will perform Thursday, Oct. 26 at Cannery Ballroom. The show is 18+, begins at 8 p.m. (doors at 7 p.m.), and tickets are available to purchase for $17.50-20.